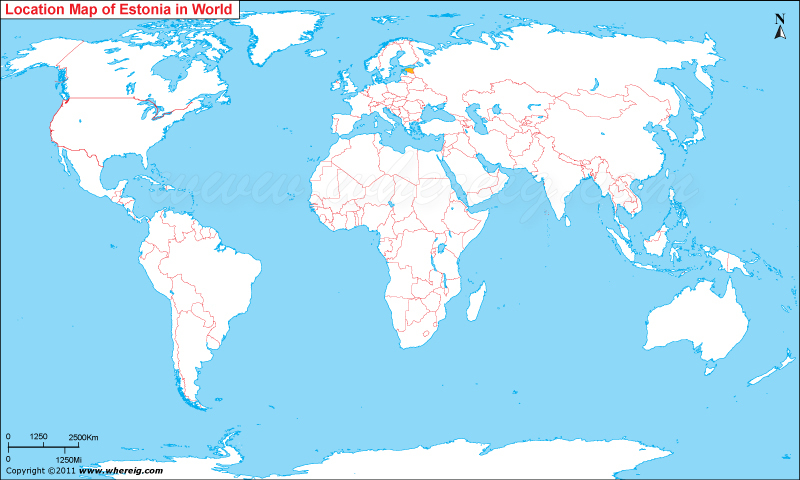 Where is Estonia located on the world map? As shown on the location map of Estonia that Estonia is located in the Baltic Region of Northern Europe. Estonia map also shows that the country shares its international boundaries with Russian Federation in the east and Latvia in the south. However, it has coastline with Gulf of Finland in the north and with Baltic Sea in the east. Country has temperate climate. Estonia has Finnic ethnic group. The official language of the country is Estonian. The government type of Estonia is democratic parliamentary republic. The small country is divided into 15 counties. Tallinn is the capital and largest city. Though, the country is small in terms of area and population but the country is listed as a High-Income Economy by the World Bank. Hence, the United Nations lists Estonia as a developed country where Human Development Index is "Very High". Moreover, the country's governance system has given high freedom to press, economic, politics and education.